The events unfolding around the world, or perhaps better expressed, events unraveling at such a rapid and confusing pace can only be a prelude for the disastrous consequences that inevitably will follow. While it may be hard to reconcile, all of this has been orchestrated by the global elites who fully intend to create as much havoc and destruction as possible, the Problem. They then monitor the Reaction, now around the world and not just confined to specific countries and regions, and what everyone is seeing is chaos, but it is an intended chaos that will lead to a Globalist’s Solution. The globalists are operating behind the curtain of the corporate federal United States, Oz, if you will, with the elitists as the Wizard. Any American who believes the United States has their best interests, as citizens, simply do not comprehend how detached the corporate United States is from its citizen serfs. “How can that be so? !” most citizens would incredulously ask. Yet, they refuse to consider the pieces of the puzzle in plain sight but invisible to their captured minds. Patriot Act “sounds” like? Yes, intentionally so, but its contents belie the title, and again, people are purposefully being misled. The UN’s Agenda 21 does not even exist on the radar of most Americans, even though its consequences of stripping American of all rights and land ownership in its crosshairs. FEMA, TSA, Homeland Security, the NSA are all administrative creations. Few American have any clue that administrative agencies function and operate outside of the Constitution, not that the Constitution has any relevance, today, except in the uninformed minds of Americans who unwittingly cling to it. These are a handful of the more overt circumstances designed to intentionally erode the right to exercise any independence from the federal government, the primary tool used and controlled by the Globalists, yet Americans continue to believe voting matters. All politicians are bought, paid for and controlled by corporate interests. If Americans do not see the insidious nature of these obvious circumstances, trying to explain the more subtle ones, such as propaganda and mind control, becomes an absurdity in their minds. Call that a total victory for the Globalists, operating behind the curtain most Americans refuse to inspect. These are broad strokes that have been important elements leading up to today’s chaotic existence around the globe. No country remains unaffected. Everything going on is being directed with the intended consequences of controlled destruction soon to be replaced by controlled construction of the New World Order. Now being added to the mix are the immigration problems of displaced Middle Easterners flooding into Europe, and Europe doing everything possible to stem the tide. Chaos everywhere, in as many forms as possible to keep people distracted, wearing them down, tiring of the Globalist-created Problem, with Reactions being played out in as many global arenas as possible, setting the stage for the final Solution, a NWO, that will be ironically welcomed to escape from never-ending problems. “We want a solution!” will be like a battle cry, and the Solution will not be the solution people expect. Checkmate by the Globalists. Welcome to their New World where all problems are seemingly solved, and everyone lives under single world rule, using a single currency as control. What did George Orwell know, anyway? It is now more important than ever to stay focused on the markets, the best and most reliable barometer to see the distilled consequences evolving everywhere. Smart money always has a large degree of control over the markets, and if you want to have a read on the intentions of the Globalists, pay close attention to what the markets are doing. with a new plan waiting in the wings, behind their Curtain. For now, Special Drawing Rights [SDRs’] appears to be their choice, but China is a wild card, so we all just have to wait and see how their plans for destruction play out. Markets never change. They are always the means for money powers to distribute their gains to the unsuspecting masses, and like the markets, people never change, always set up for being fleeced. One of the most important markets to watch is FX, foreign currencies, for that is where the demise of the Federal Reserve’s fiat Federal Reserve Note, more commonly accepted as the “dollar,” will play out. FX is very much controlled by the central banks, and no individual can stand up against the bankers and survive. Some may think of Soros, but he is very much a part of the Globalists playing within their arena. When we say markets never change, by that we mean they trend up, trend down, and move sideways, periodically, and they can be monitored to detect critical turning points to not get caught in the wrong direction. Will the “dollar” disappear? Absolutely. When and how are the primary questions, and by watching the developing market activity via charts, we do not need to know the answers to any questions. The Globalists will provide them. All we need to do is follow the financial “footprints” they leave behind. Now, most of the trade with China is starting to be settled using the Yuan, replacing the “dollar.” Russia and the remaining BRICS nations have been following suit, and they are being joined by many other non-BRICS nations that want out of the inflationary-causing fiat “dollar” that has been harming other nation’s economies. This is a leading cause of all the stepped-up chaos around the world as the US defends the indefensible viability of the fiat “dollar.” More and more local wars are resulting, literally and economically, as the US tries to exert its muscle to keep countries from abandoning the “dollar.” Some, a number hard to define but growing, believe the US will start another world war to maintain its no longer tenable financial existence. This country is in worse economical condition that Greece, in many respects. The difference is the US has the biggest guns and willingness to use them. Watch the charts as the game of Three Card Monty is being played out. If the “dollar” is going to disappear, and if not disappear simply become a Zimbabwe-like currency, then why is it not going down? Who cares, [with regard to knowing the unknowable]? Simply follow what the market is telling you because trust us, the market is fully controlled by the central bankers, all in trouble, and all hiding their money problems. Those problems will eventually be played out and visible in the charts. The news is designed to confuse, a fact many ignore. Charts are reality, but most find them confusing, and so they are ignored in favor of the fiction espoused by the elite’s news media: radio, television, and print. While price did break 93.50 support, the break was brief and a strong rally followed. This points to what we keep harping on for which many have no patience: wait for a move to confirm itself. The overall structure of the Fed’s fiat “dollar” remains in its uptrend, and the corporate federal government will do everything possible to support its fiat Ponzi scheme to the bitter end. Do not factor out more and more war “skirmishes” around the world as globalists play out their hand. The recent explosions in China are an example of what can be considered war skirmishes, for they were not mere accidents but planned detonations. It has CIA fingerprints all over it. The fiat “dollar” is not ready to fade away. We are writing this on Thursday, so Friday activity will not be incorporated or even known to us, which is not of much concern. Gold remains in a down trend, and within its down trend, it appears to be basing, but what we know for certain is that market bottoms almost always take more time than and duration than people’s patience. Gold has been no exception. visibly unnoticed. This is what makes reading developing market activity so challenging. The area of support that developed at the swing bottom served to halt the current decline of a few weeks ago. Here is an example where the highest volume occurred near the low, and this is more suggestive of short-covering and/or buyers stepping up their activity, and it is different from silver’s decline on increased volume starting near the high, for a comparison on interpreting volume activity. The developing activity on the weekly looks more encouraging than not, which is how we viewed and expressed it. Things have a different tone when viewed from a daily POV. When price drops on increased volume starting near a swing high, it is an indication of sellers overwhelming buyers and remaining in control. There is a similar gap area but not as pronounced as the gold situation. However, resistance kept looking like resistance throughout mid-August leading up to the failed probe higher, trapping new buyers and stopping out weak shorts. This is a function of normal market behavior. followed. This is why we keep saying a market needs to confirm its intent, and that confirmation may take several days, even weeks, to become clearly understood. talking about buying physical gold and silver from current levels, just the manipulated paper market. Gold And Silver – A Change In Suppressed Down Trend? Gold And Silver – Trend Change Developing, Just Not Confirmed. Gold And Silver – Swiss National Bank Rally. Enough For A Change? Gold And Silver – NWO In Its Element: Problem, Reaction, Solution. Beware. Gold And Silver – Forget The News. Silver 12 – 14? Gold 1,000 – 1,100? Gold And Silver – Nothing Of Substance Going On. Fiat “Dollar” Controlling? 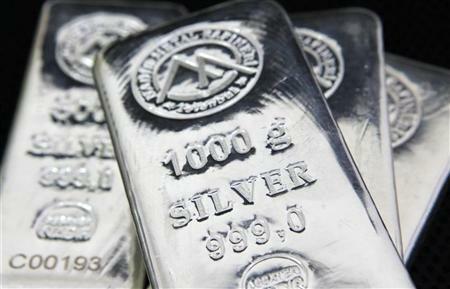 ← Gold And Silver – NWO In Its Element: Problem, Reaction, Solution. Beware.